Do you wanna be the best disco dancer? 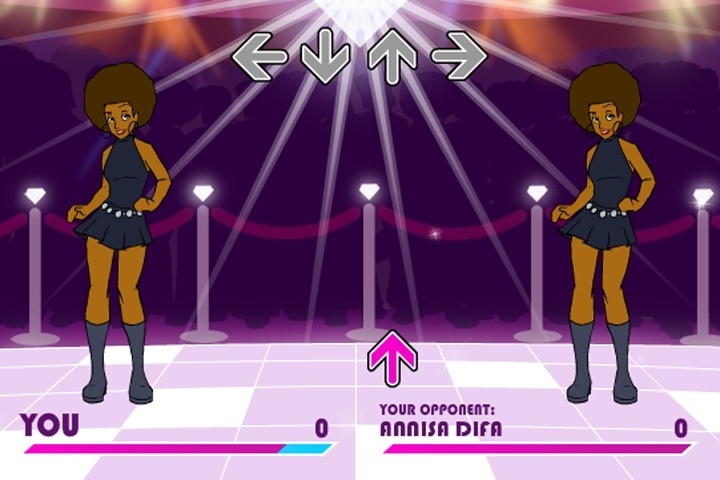 Dance like Saturday Night Fever with this great game. Diamond Disco Dance Off is a fun and funky disco dancing game where you get to select 1 of 3 cool characters, including the hilarious Lamb Chop! Dance against the previous best dancers of the day. Use the arrow keys to follow the dance steps and beat to all your adversaries. If you want to play Diamond Disco Dance Off games online you have come to the right place! GamesLoon adds new Diamond Disco Dance Off games every week. This is your game portal where you can find the biggest collection of free Diamond Disco Dance Off games online. Do not forget to rate our Diamond Disco Dance Off free online games while playing!